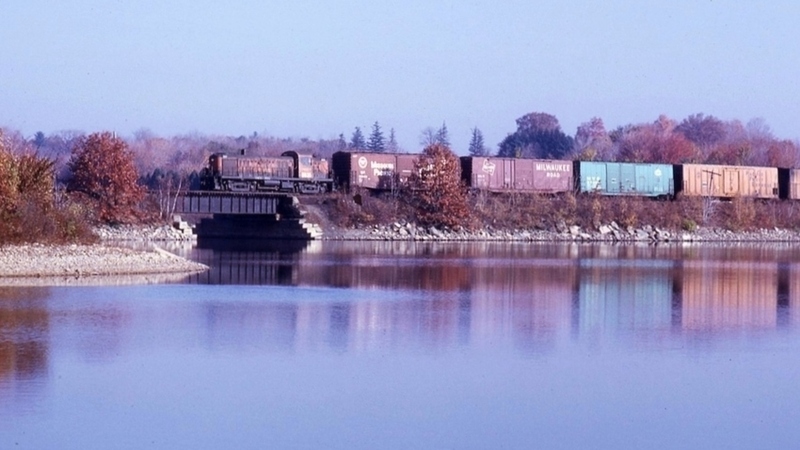 The previously pictured local freight crosses part of Sudbury Reservoir #3 in Framingham, MA. Photographed by Ken Patton, November, 1969. Added to the photo archive by Ken Patton, November 5, 2018.